A 2017 report from the National Association of Realtors (NAR) reported that real estate firms cited keeping up with technology as the No. 1 challenge facing their firm in the next 2 years. The concern is valid—as technology continually changes and advances, many brokerage owners struggle with the costs and complexities of technology, the speed at which it is evolving, and knowing how to implement it and/or make it work successfully in their businesses. Think about how fast and how much cell phones have changed this century. Text messaging and phones with cameras were revolutionary advancements just 15 years ago, but are afterthoughts today. Successful real estate agents and brokerages have overcome these concerns and have adapted and incorporated new software and technology into their businesses over the years—to the point where the best solutions can noticeably improve results. Managing transactions, marketing, documents, and web resources once took so much time that it often kept agents from being as active with clients and potential clients as they could be. With today’s technology, that’s no longer the case. Even more exciting: Real estate technology is still evolving, offering more features and agent-friendly functionality than ever. 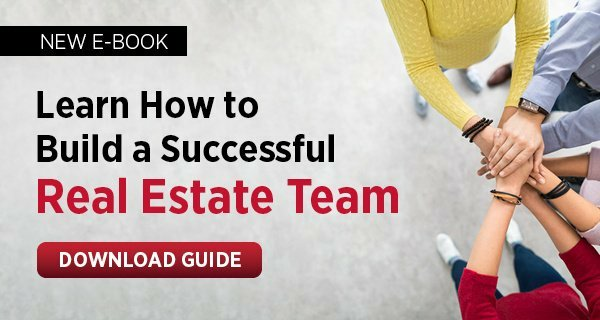 Brokerage owners who provide these tools set their agents up for success. Here are some tools current technology is delivering and that brokers can provide for their agents. This is a simple fact of real estate: Agents cannot succeed without effectively promoting themselves and their listings. And brokerages cannot succeed without their agents succeeding. Automated marketing can drive this mutual success by both simplifying and turbocharging marketing efforts. The best platforms offer design templates that give agents a wide range of customizable marketing options, including flyers, business cards, social media graphics, and branded merchandise. On the administrative end, advanced marketing software automates lead management and data entry, tracks the effectiveness of various marketing channels, integrates with MLS listings and search engines, and offers other tools, such as automated flyers, e-marketing, videos and digital home tours. This technology enables agents to not only easily expand their marketing, but also deliver a greater impact with their marketing strategies. Technology that streamlines transaction management saves time and also benefits clients. Helpful software manages the process in real time, provides visibility and transparency every step of the way, and offers convenient document review so that brokers and agents always know the status of paperwork. This cloud-based technology eliminates the need for physical documents as part of transactions and better ensures the process itself doesn’t slow down a deal in progress. For today’s real estate agents, a functional and attractive website is not a nice perk—it’s mandatory. Hiring someone to build a site is expensive; even those build-your-own-website services cost money, not to mention the time it takes agents to build their site. Plus, integration with the MLS and listings is very complex and brings a unique set of requirements, costs, and legal issues into the mix. Brokerage technology that includes free, customizable, simple-to-create websites catered to real estate, with MLS search and integration, gives agents a powerful platform with minimal fuss. The best software includes blog capabilities; image, video, and PDF functionality; and integration with lead management features of the brokerage technology suite. Prospects who see a “for sale” sign in front of a home may be intrigued enough to want to learn more, but not so enamored to call an agent directly for that additional information. The fear of a sales blitz upon making that call is real, especially for buyers who want some additional details but don’t want a five-minute hard sell. Call capture invites prospects to dial a number, prominently displayed on the sign, and hear pre-recorded information about your listing. When they call the number, the agent automatically receives a text message with the caller’s name and phone number. This technology generates leads, and agents can call/text back at their leisure (preferably sooner rather than later). Call capture isn’t limited to “for sale” signs; agents can add numbers to listing flyers, print ads, or any other advertising and marketing campaigns they employ. To borrow from Lord of the Rings: great real estate software offers one platform to rule them all! Top-notch technology tools should provide everything all in one place through a centralized dashboard that keeps agents from hopping from application to application, seamlessly shares client and listing info throughout the process, and delivers a CRM that makes managing leads and prospects a cinch. An all-in-one portal frees agents from being stuck on a computer handling busywork so they can instead focus on prospects, clients, and closing. One more thing: Any real estate technology brokers adopt should include the means for agents to learn how to use the new tools. Great software comes with training resources to help users quickly become experts, thus allowing agents to hit the ground running with everything a platform has to offer. What Gives You the Highest-Quality Real Estate Leads (Besides Referrals)?